Transporting large volumes of raw goods and materials by truck across undeveloped rivers in remote parts of the world can be challenging since building bridges is time consuming and may be cost prohibitive. A simple solution that is both cost effective and rapidly deployable is required. Thrustmaster’s Portable River Ferry is the solution. It is a complete, modular system transported over the road piece by piece, and easily assembled on location within days. It is capable of ferrying fully-loaded trucks across any river or lake. No need for dry docks or shipyard support. It can be assembled with help of a mobile crane, the heaviest pieces weighing not more than 12 metric tons. 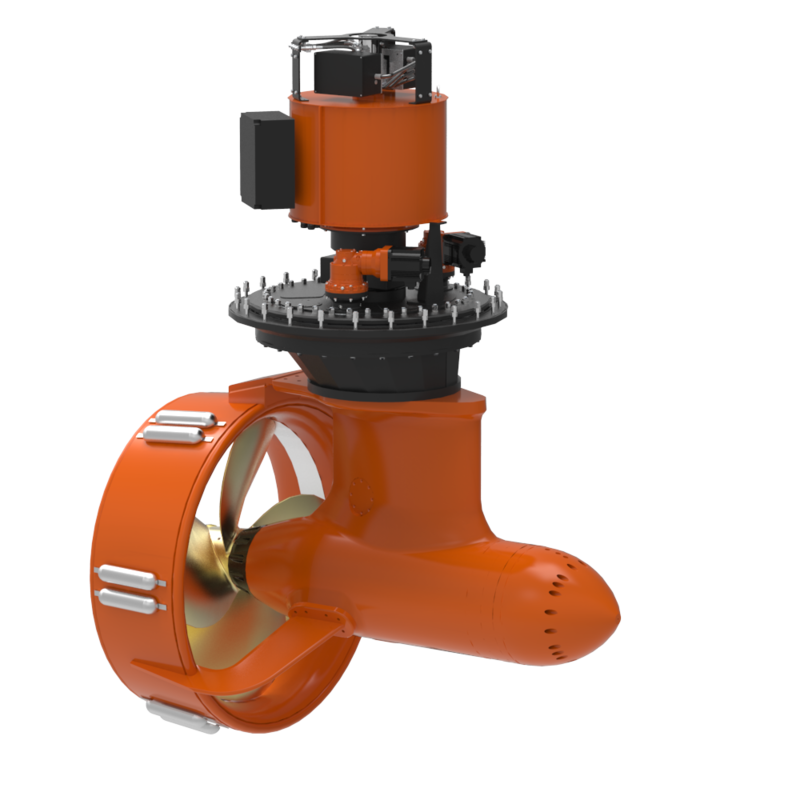 The ferry uses very heavy duty barge sections and is designed to the highest safety standards maintaining stability even after multiple hull compartments are flooded due to grounding incidents. The result is a safe, long lasting, and reliable double ended ferry; easily deployable anywhere in the world. Thrustmaster’s Portable River Ferry is a turn-key modular package comprised of interlocking barge sections with ramps on both ends, self-contained hydraulic outboard propulsion units, a raised pilot house, and all necessary accessories. 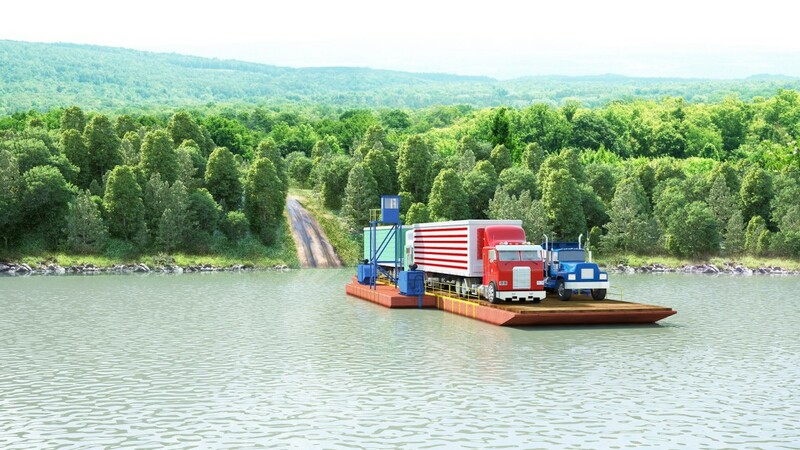 Thrustmaster’s Portable River Ferry can be rapidly deployed in remote locations to form a double-ended ferry for crossing rivers with fully loaded trucks, trailers, lorries, combines and other heavy machinery.